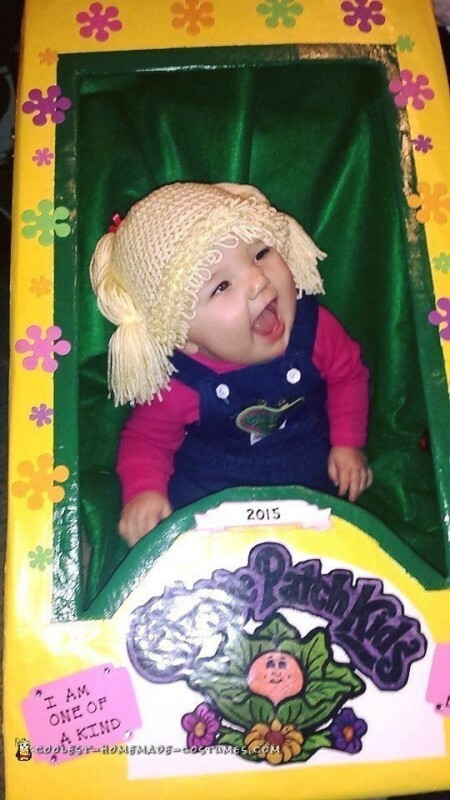 Ever since my baby girl was born people have been telling me how much she resembles a cabbage patch doll. 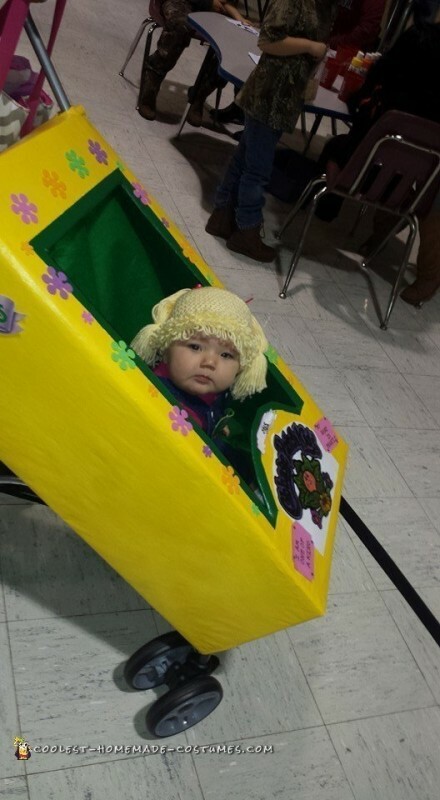 So of course on Pinterest I saw the idea of the doll box being attached to a stroller, with the ‘doll’ dress up inside. 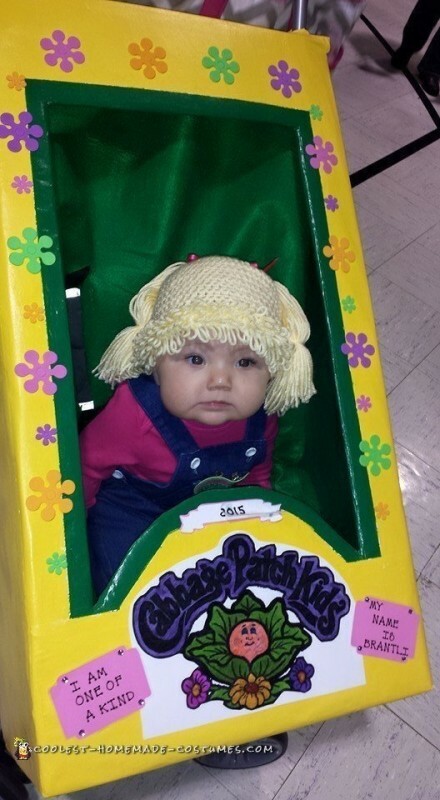 It was obvious to me that this is what Brantli HAD to be for her first Halloween! The box was made from a cardboard box, measured and cut to fit to the stroller, including the handles going through the top of the box. The wig was ordered online because I can not crochet. The overalls she wore were actually mine, and are some 20 years old! 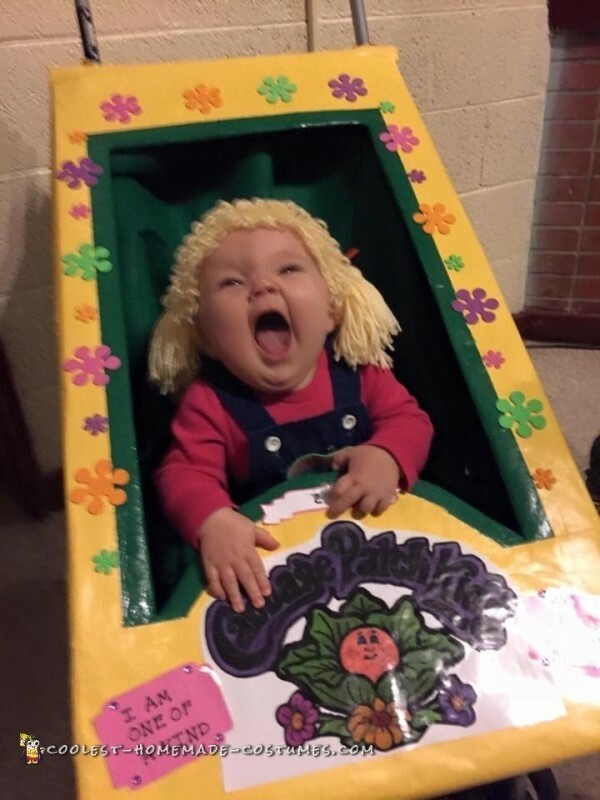 Everyone LOVED her in this costume. 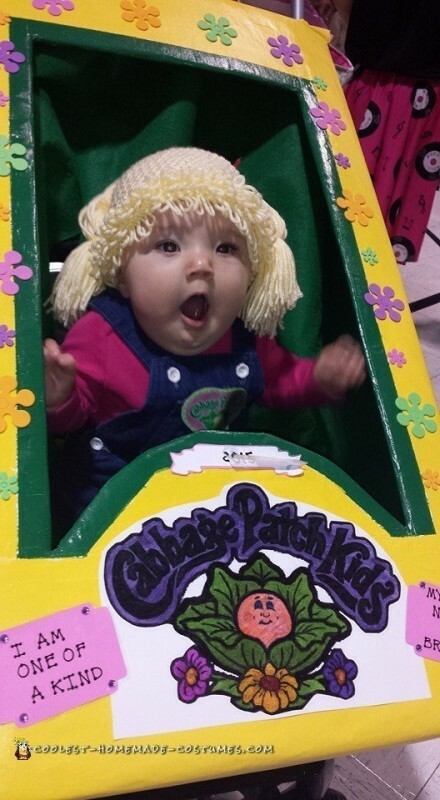 They all thought she was the cutest, and most perfect as a cabbage patch doll! Lots of likes, and comments on Facebook! I never really thought about a costume contest online, but people kept telling me I need to find one and put her in it. It was just ‘too cute not to share’! Amen for this Costume Idea – The Pope!